This past week Mike Smith, Manager of the Madison Stop & Shop, gave us a call to share some great news. Back in November and December of 2015 they held a storewide fundraiser with Madison Community Services as the beneficiary! During the two month period shoppers were asked if they would like to add a dollar to their total at checkout. In the picture above, Mike (on the left) is handing Peter Parisi (MCS Board Member) a check just shy of a thousand dollars. 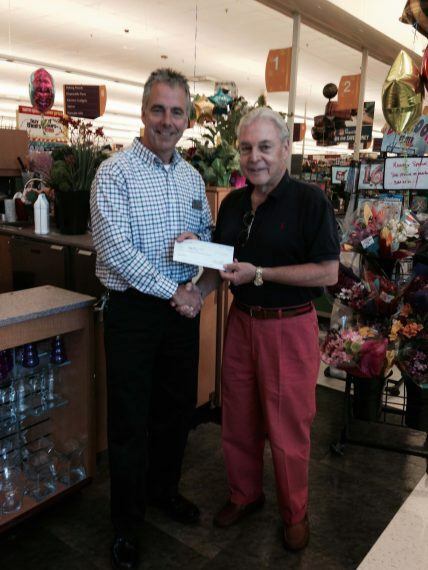 A very big thank you to Stop & Shop, Mike smith and all of those shoppers who participated.